Click here to view a map of the locations the Mobile Unit services. How did you hear about People for Animals? If the dog is a mix breed and you are unsure of the specific type, please enter the most predominant breed features (ex: Doberman mix, Bichon Frise Mix, etc). "Mix" and "Mutt" are not valid answers. This test will be performed just prior to surgery. If there are any concerns, a technician will call you at that time. Please enter a value between 1 and 343. We are sorry, but the Spay Shuttle cannot accommodate dogs over 50lbs. We are sorry, but People for Animals cannot spay/neuter your pet. Please contact SpayNJ at 1-877-SPAY-NJ1 to find a veterinarian in your area who can spay/neuter your pet. When was your pet's last Rabies vaccination? When was your pet's last Distemper vaccination? If No, please stop filling out this form and come in for a pre-operation exam anytime during our wellness hours. Pets with certain medical conditions are better served at a full service veterinary hospital. A staff member will review your pet's history and contact you by email if there are any concerns about his/her surgery appointment. You cannot proceed. Please call our Hillside office (973) 529-4643 or e-mail spaystation@pfaonline.org. 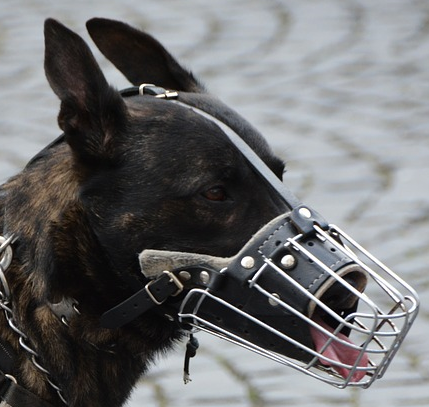 Please bring your dog to the clinic wearing a basket-type muzzle. If you do not have one, please leave your dog in the car until you can obtain one from the front desk on the morning of surgery. We appreciate your cooperation for the safety of our clients, staff, and other pets. Rabies vaccine is included in the surgery fee for qualifying 501(c)(3) nonprofit organizations. Distemper vaccine is included in the surgery fee for qualifying 501(c)(3) nonprofit organizations. Heartworms kill. Heartworms are transmitted by mosquitoes. Heartworm disease is a serious and potentially fatal disease caused by foot-long worms that live in a dog's hearts, lungs, and blood vessels. Heartworms can cause severe lung disease, heart failure, and damage to other organs. Dogs under 7 months old can take heartworm prevention for 6 months without a Heartworm Test. Dogs who have missed a dose of heartworm prevention must be tested for heartworm before taking prevention again. Yes, I would like a Canine Heartworm/Lyme/Ehrlichia/Anaplasma Test. A negative heartworm test is required prior to dispensing heartworm preventatives in dogs over 7 months of age. Our surgery fees are well below what it actually costs us to perform the procedures. We rely on the generosity of our supporters to keep our fees affordable. I certify that the information entered above is accurate to the best of my knowledge. There is a $25 missed appointment fee for not showing up to my appointment or rescheduling less than 2 days in advance. If my pet appears to be sick, FOR THEIR SAFETY, I must call and reschedule my surgery appointment (973) 529-4643. Admission time for dogs is at 7:15 a.m. Admission time for cats is at 7:45 a.m. I am to check–in at the front desk where I will read and sign a surgical consent form. All dogs must be on a leash and all cats must be in individual hard plastic carriers. FOR THEIR SAFETY, my pet MUST NOT EAT ANYTHING AFTER 4:00AM the morning of surgery. If my pet is under 4 months old, he/she should eat a small meal close to but not later than 4:00AM. My pet must be kept indoors or confined. My pet will not be admitted for surgery if he/she remained outside all night without being confined (except feral cats). My pet will have a tattoo in the form of a 1-2cm green line applied on the abdomen at the time of surgery. A tattoo provides a reliable, permanent indication that an animal has been altered. The tattoo is mandatory for animals being spayed and neutered at People for Animals. I hereby consent and authorize the medical staff at the People for Animals (PFA) to receive, prescribe for, treat and operate on the pet(s) named above. I represent that I am the owner of the pet(s) in question or that I am authorized by the owner to consent on his/her behalf. I will indemnify and hold PFA harmless from claims by the owner in the event that this representation is not true. To my knowledge, my pet has not bitten or otherwise injured anyone within the last ten days. I understand that there are risks inherent with anesthesia and surgery, and I accept that death or prolonged illness may result, especially if my pet is in compromised health whether known or unknown prior to surgery. Although all reasonable precautions will be taken, I assume all risks and I release People for Animals, Inc. from all liability. I understand that anatomical characteristics associated with my pet’s breed may place him/her at increased risk for death or complications during or following surgery, especially brachycephalic breeds including but not limited to French Bulldog, Pug, Pekingese, Shih Tzu, Boston Terrier, Mastiff, and Persian. I also agree that I am liable for any additional medical costs which result from my failure to disclose any prior medical condition of my pet.I understand that if my pet acts in a manner that poses a safety risk to the staff at PFA, my pet may be sedated prior to receiving an examination. I understand that PFA is a teaching facility and that a veterinary student may perform my pet’s surgery under the direct supervision of a licensed veterinarian. I understand that I have the right to refuse to allow a veterinary student to perform my pet’s surgery and that it is my responsibility to communicate this refusal to the staff at PFA prior to my pet’s surgery. If a medical/surgical emergency arises, PFA will use the emergency telephone number that is provided below to contact me. In the event that I cannot be reached in a timely manner, I authorize PFA to transport my pet to an emergency facility for treatment. I assume all financial responsibility for any additional medical or emergency treatment that may be required. I understand that if my pet must receive any additional medication or other treatment that there will be an additional charge. If I am late picking up my animal, causing the clinic to remain open past the posted closing time, I will be charged a fee of $25. I understand that my pet will be left unattended from the time the clinic closes until reopened the next morning whenever the animal is kept at PFA’s clinic overnight. If I do not pick up my pet at the designated time of discharge, I will be charged a daily fee of $25 until the animal is claimed. If the animal is not claimed after 7 days, it will become the property of People for Animals, Inc. to do with as it sees fit. I will be responsible for paying all costs incurred by People for Animals, Inc. that are associated with my pet’s care and boarding at all times. I understand that complications may arise after any procedure and that PFA offers affordable postoperative treatment if needed. I understand that I have the freedom to choose a provider other than PFA for my pet’s postoperative care and fees for such treatment are my own responsibility. I understand that PFA recommends the use of an Elizabethan collar for the purpose of preventing my pet from chewing at the incision area. If I choose not to use an Elizabethan collar, I am responsible for any emergency care that may be needed. I understand that my pet will receive a tattoo on the abdomen as a lasting indication of sterilization. I understand that pregnancy presents an increased risk of death or complications during or following surgery. I further understand that any pregnancy will be terminated at the time of spaying. I authorize PFA to release my name and contact information to any microchip registration service as needed in order to register my pet’s microchip or to determine disposition and ownership if a microchip is discovered in the pet I have presented for care. I have read the foregoing, and I understand and agree to its contents.